Where do I even begin? From the academics, athletics, and atmosphere to campus diversity and student life, all of these components were vital in helping me choose IU. 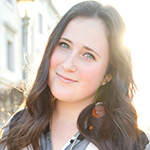 As an out-of-state student, there was a multitude of factors to consider. Here’s why I decided to become a Hoosier. 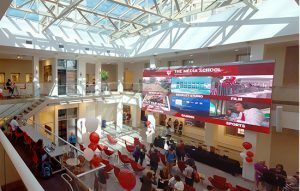 According to the 2017 Academic Ranking of World Universities, IU’s very own media school is ranked No. 7 in the world. Along with renowned professors and innovative research, The Media School offers a wide variety of specialized programs and majors that cater to every individual’s interests. 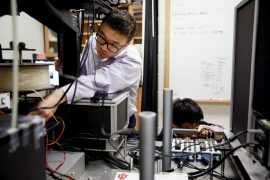 While IU is home to one of the best communications programs, our respected university is also famous for its top-ranked Kelley School of Business, Jacobs School of Music, and numerous other distinguished programs. Staying in-state would’ve been the financially smarter decision, but going out-of-state allowed me to be a part of such a prestigious program—hopefully benefiting me in the long run. 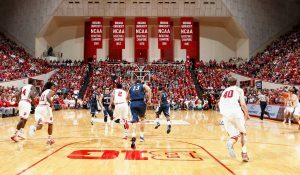 Hoosier Nation is every sports fan’s dream. Not only are athletic events a staple of student life, the school spirit that accompanies them is what makes the affair so memorable. 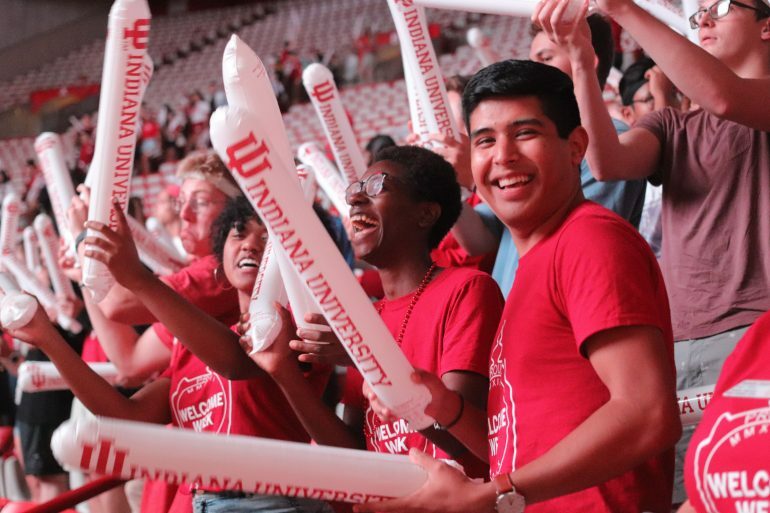 Whether you’re watching our nationally ranked soccer team from the sidelines or spending your evening in Assembly Hall cheering on our men’s basketball team (five-time NCAA champions, might I add), Hoosier fans are always dressed in cream and crimson. When the stadium is so loud you can’t hear yourself think, that’s when you know there’s an immense amount of pride and affection felt for our beloved Hoosiers. Throughout my college decision process, I visited upward of ten schools all over the country. People always said, “Oh, you’ll get ‘the feeling’ when you’ve found the right one.” I never took that to heart until I stepped foot on our beautiful campus. I immediately felt butterflies and knew this was where I wanted to spend the next four years. 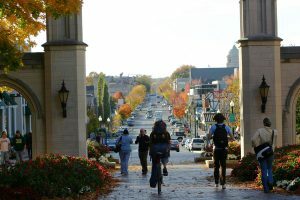 Midwestern charm radiates from Bloomington’s mom-and-pop shops, local restaurants, and friendly residents. When considering our thousands of trees throughout campus, pristine Sample Gates, and beautiful architecture, it’s no surprise that IU is consistently ranked in the top ten most beautiful campuses in America. Initially, that was one of the reasons I visited. Being from southern Illinois and planning to attend a midwestern university, I didn’t expect to find an environment where I felt like I wasn’t in the middle of cornfields. To my delight, I was greatly mistaken. Whether it’s the people, food, or productions, there is diversity wherever you turn. We have an entire street dedicated to ethnic restaurants—all of which are phenomenal by the way. 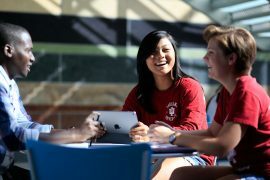 IU’s student body consists of students from all 50 states and over 150 countries. 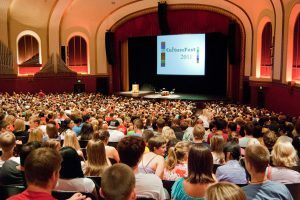 Each year during Welcome Week, IU hosts CultureFest where “you can hear, taste, see and feel the cultural diversity that makes IU unique.” Of the five universities on my prospective colleges list, IU seemed the most accepting and diverse. I wanted to receive an education at a school that valued diversity and felt it was an important part of student and campus life. Every time someone asks me where I go to school and I respond with Indiana University, his or her eyes light up. “Wow, what a wonderful school.” “I want my child to look there; they have such great programs.” “Bloomington is such a beautiful place!” I constantly receive comments like this and nothing makes me more proud. When I was abroad I counted at least ten different people in IU attire. We have such a large alumni and fan base, so it’s exciting to see past, present, and future Hoosiers all over the world. 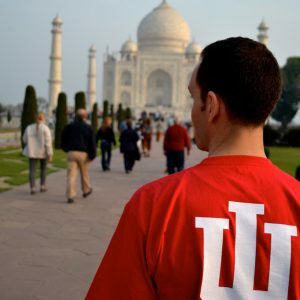 Part of the reason this was so attractive to me when looking at prospective schools was that I knew later in life I could easily find a connection with people through our common love for IU. 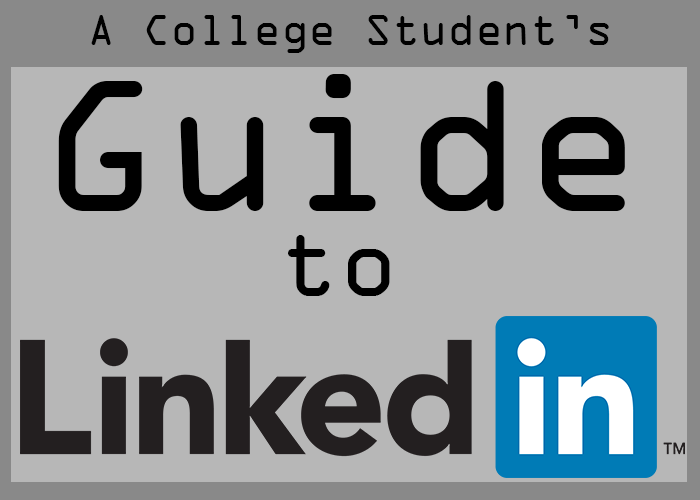 If you are a prospective out-of-state student or even an in-state one, or maybe you’re just reading this because you’re curious as to why someone would choose IU, I hope this post was beneficial! Thanks for reading and go Hoosiers!